A cash drawer is a compartment underneath a cash register where the cash from transactions is kept. 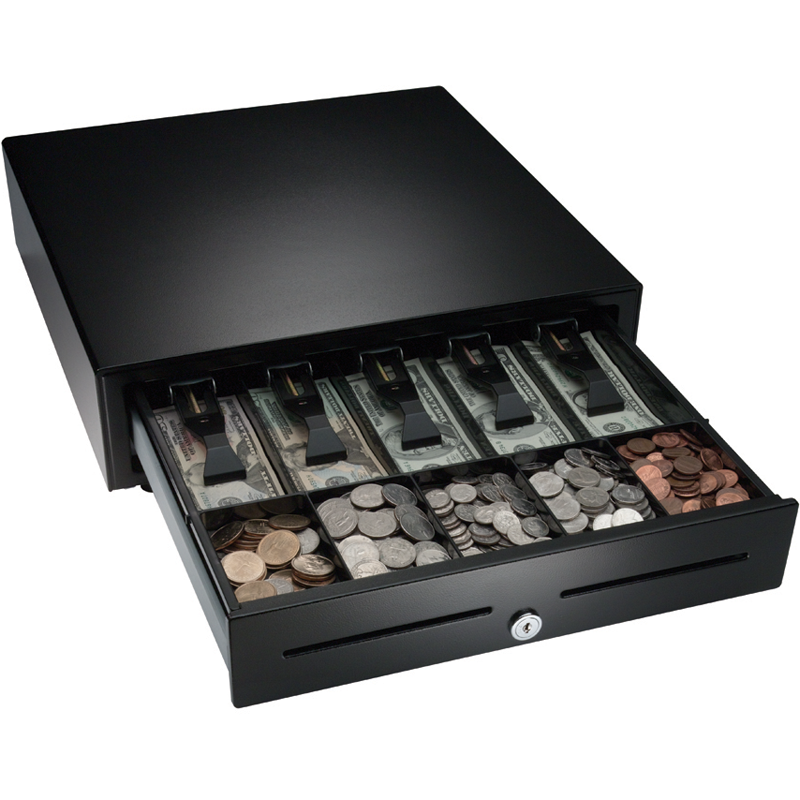 The drawer typically contains a removable till, which is usually divided into compartments used to separately store each denomination of bank notes and coins to make counting easier. RepairDesk iPad POS Register app- supports cash drawers through Star TSP Printer. This means that cash drawers have to be connected to the printer. Through the printer software configuration, you can set up cash drawer to open every time the printer prints the receipt. It also assists with start and end shift functionality. By setting the cash drawer you can easily manage cash in each shift and keep the track record of cash management by employees working in shifts. 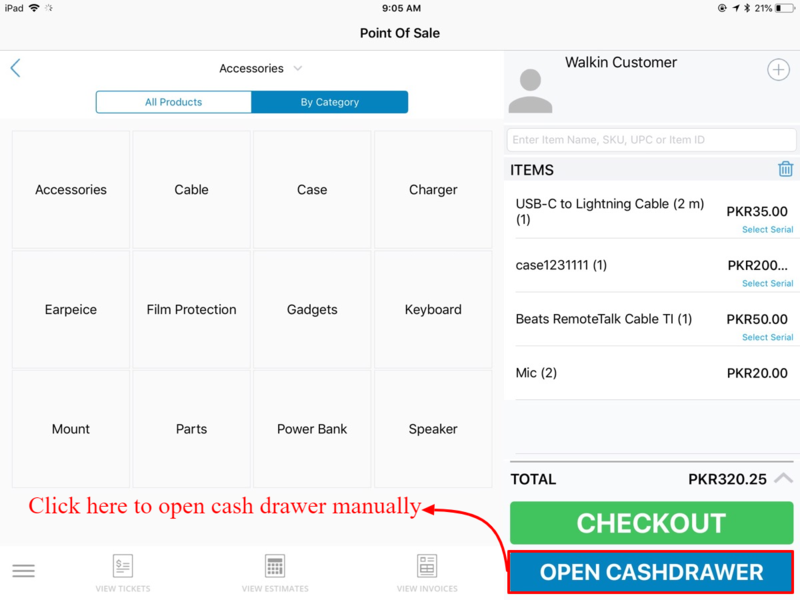 Technically, RepairDesk iPad POS Register app will support any brand or model of cash drawer that can be connected to Star TSP Printer, as long as it supports the connection of a cash drawer. Before proceeding, make sure that cash drawer is unlocked and Star TSP printer is connected with RepairDesk iPad POS Register app on the same network. To connect the printer, follow the link here. 1. 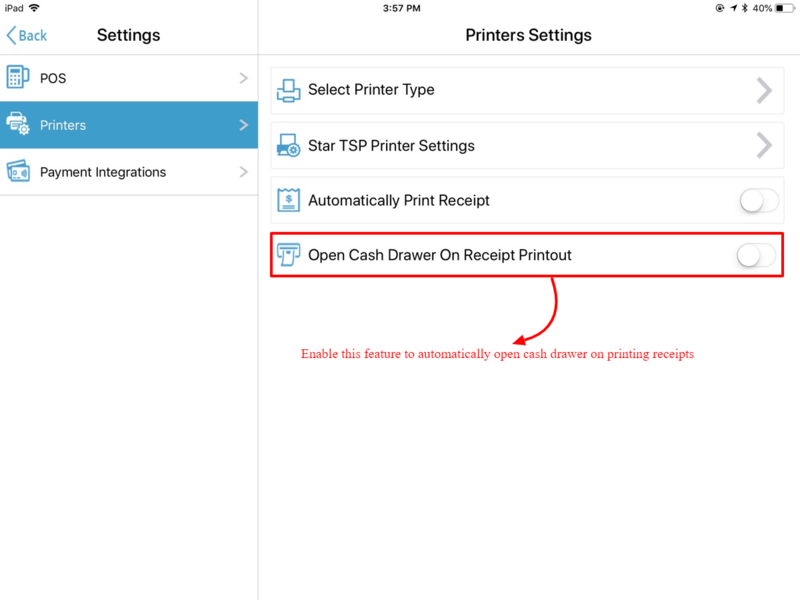 Once the printer is connected to RepairDesk iPad POS Register app, Open Cash Drawer button will be displayed on POS screen as shown below. By hitting the button you can get the cash drawer open. 2. To automatically open the cash drawer when the receipt is printed out, you have to enable this trigger from hardware settings screen as shown below. If the trigger is enabled, you will get the cash drawer automatically opened every time when the receipt is printed. Note: In case if the trigger is disabled, you will not get the cash drawer opened automatically on printing receipt. It will work only by hitting Cash Drawer button from POS when required. Q. Does Cash Drawer works with any other printer? A. No, RepairDesk iPad POS Register app currently only supports this feature for Star TSP Printer.